Paper Daisy Crafting: Share What You Love Suite with FREEBIES! 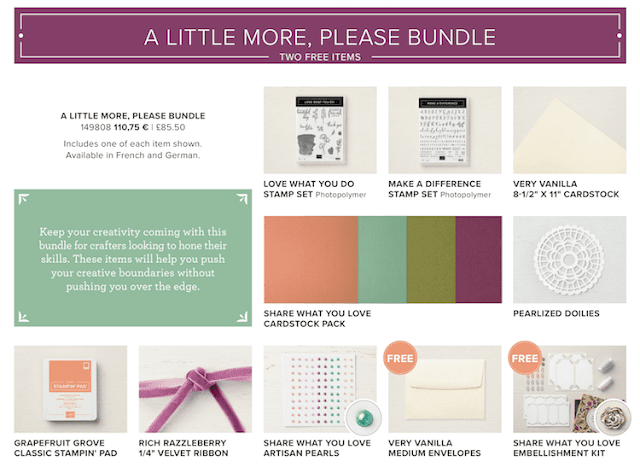 Share What You Love Suite with FREEBIES! 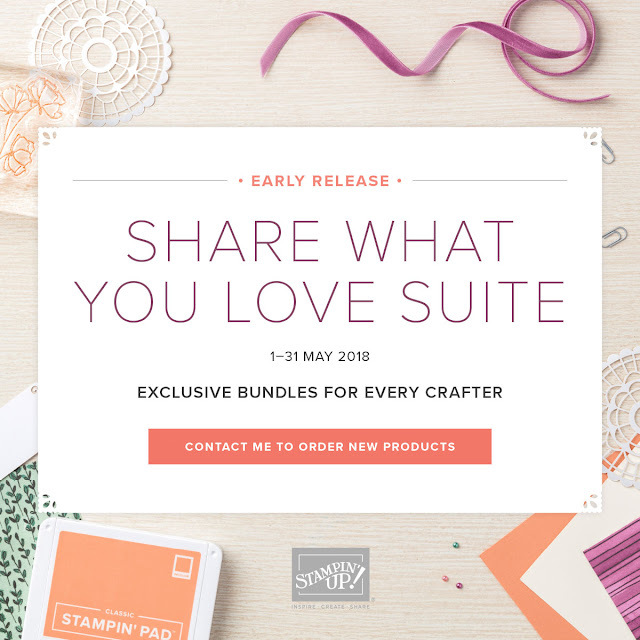 Did you see my blog post yesterday, announcing the early release of the Share What you Love suite? See it HERE if not! I thought I'd just pop on here today to give you a bit more information. As I said yesterday, if you click over to my online shop (click the product links below) you can see all the bundles available, including the FREE products which are available with each one. I thought it might help if I listed the products in each bundle here so here’s the full run down on each of the 3 bundles. 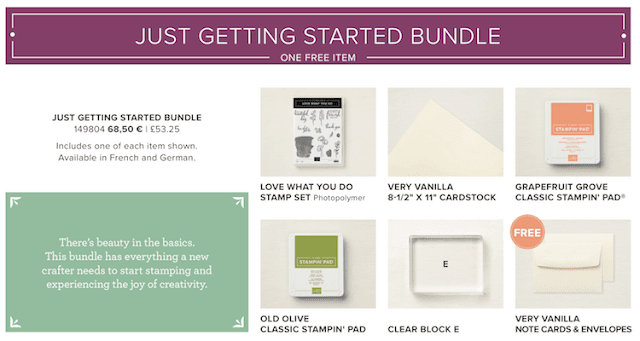 Just Getting Started with one FREE item - This bundle has everything a new crafter needs to start stamping and experiencing the joy of creativity. 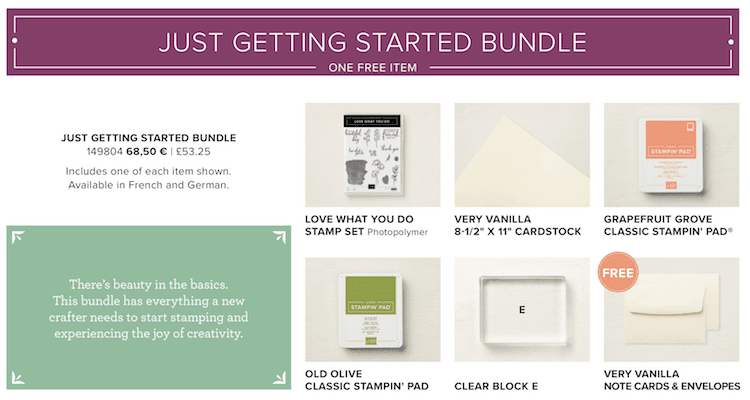 A Little More, Please with two FREE items - Keep your creativity coming with this bundle for crafters looking to hone their skills. These items will help you push your creative boundaries without pushing you over the edge. 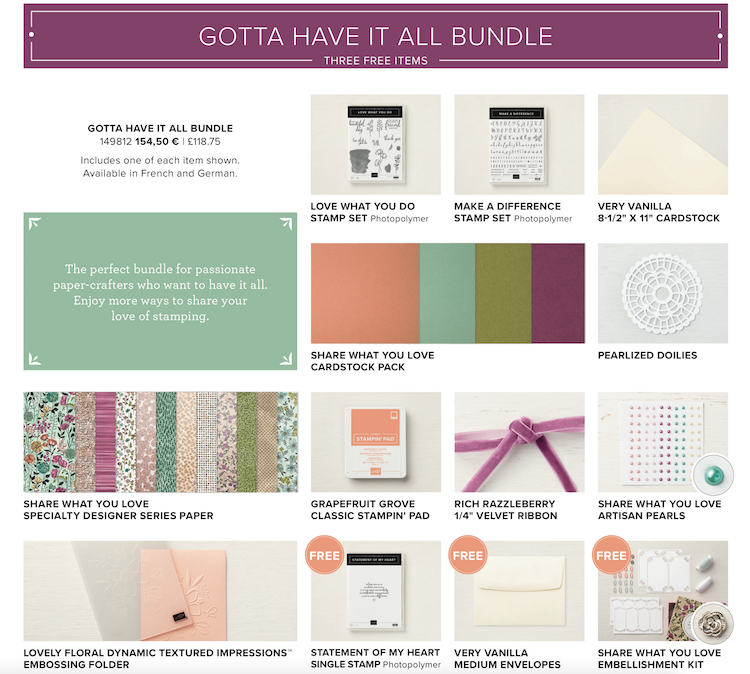 Gotta Have It All with three FREE items - The perfect bundle for passionate papercrafters who want to have it all. Enjoy more ways to share your love of stamping. What I didn't mention yesterday is that there is also an early opportunity to get your hands on the new In Color stamp pads. 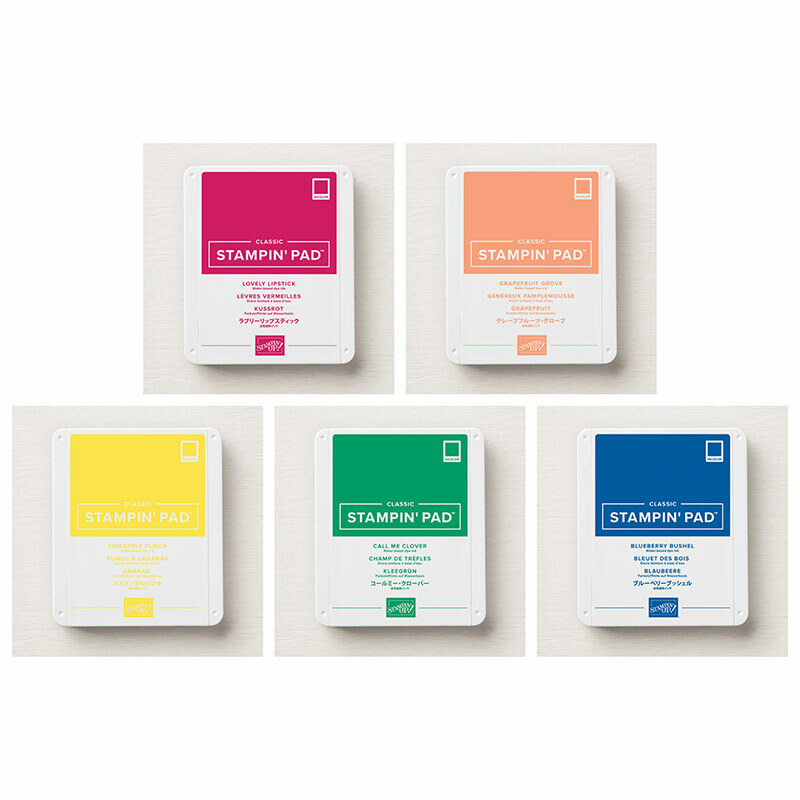 These pads are, of course, the new style of stamp pad and in 5 gorgeous new colours. As always, click on the links below to see the products in my online shop. Back soon with the video I promised on Saturday - I haven't been able to record it as yet as at the weekend I returned from a family holiday in New York with a dreadful cough and haven't been able to get through a recording session without a coughing fit - and no-one wants to hear that!